" At Dean Borghi Fine Art, painter Tom Dash finds his subject matters in popular culture and mass media. 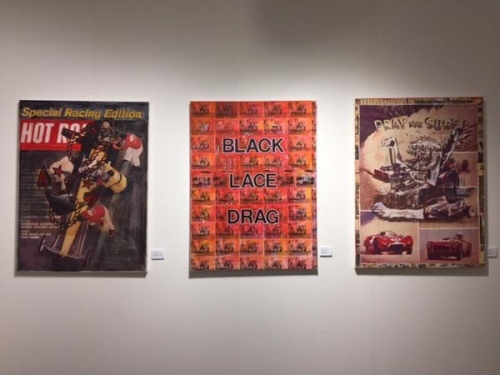 Works from the artist’s “Auto Shop Series” mix textual elements with culled images, repetitions, and variations to create bold paintings that reference an entire tradition of West-Coast American art, while at the same time offering a unique take on re-appropriation. Also presented at Scope Basel is Siro, a new artist for the gallery. His paintings evince a fascination with the unknown, the uncanny, and the mysteries of nature. "